By now, we know that self-care is not selfish. The next step is to acknowledge that it’s not just for us. You are enough. Your health, wellness, and sanity are thorough reasons for taking excellent care of yourself. You must know this. We must know this. Even with families, companies, communities – hell, countries – depending on us to always come to the rescue, Black women must resist being absorbed by our various roles and relationships. Audre Lorde said “If I didn’t define myself for myself, I’d be crunched into other people’s fantasies of me and eaten alive.” At this point, we are fighting to define ourselves. Furthermore, we are learning and crafting the tools necessary to examine ourselves – to see our own wounds, and heal them; to recognize our own worth, and honor it. This is the very basis of self-care. So this affirmation is vital: You are enough. Still, you are not all. None of us lives in a vacuum. We are all connected, and those connections are real. Although it is easy to feel isolated in an increasingly electronic and fantasy-based world, the village philosophy of our ancestors still speaks truth. Each of us is whole and self-sufficient, but together, we are a community. And community is everything. This inherent knowledge compels us to think beyond the self. Black women have been the engine of every major movement for social change that America has ever experienced. There is a reason for that. As we push back against the self-destructive aspects of the “Strong Black Woman” stereotype, let us also resist the temptation to relinquish our ties to the larger vision. Our desire, our need, and our responsibility to take care of one another is just as valid as the task of taking care of ourselves. Community care, too, is vital to our wellness, growth, and forward movement. Luckily, self-care and community care don’t have to be mutually exclusive. Uplifting the group doesn’t mean we have to put it on our backs. In many ways, our dedicated inner work creates an energy that expands outward, automatically augmenting one’s contribution to our collective rising. Here are four ways that committing to a regular self-care practice can benefit your activism, social justice, and community work. We know that self-care can help us prevent and heal from burnout. Likewise, it can undo the effects of compassion fatigue. Compassion fatigue is defined by the Compassion Fatigue Awareness Project as “an extreme state of tension and preoccupation with the suffering of those being helped to the degree that it can create a secondary traumatic stress for the helper." Among other things, this can lead to apathy. As a natural reaction to overwhelm, our empathy response can shut down, causing us to forego concern about important issues in the interest of self-preservation. With regular self-care, we can nip this impulse in the bud, and reengage with our communities in impactful, whole-hearted ways. Much of our self, family, and community healing work has to do with situations that occurred long before we were born. In her book Post Traumatic Slave Syndrome: America’s Legacy of Enduring Injury and Healing, Dr. Joy Degruy outlines the logic around the condition, which is unique to the descendants of Africans enslaved during the Trans-Atlantic Slave trade. “Although slavery has long been a part of human history, American chattel slavery represents a case of human trauma incomparable in scope, duration and consequence to any other incidence of human enslavement,” says Degruy. She asserts that not only do we carry the marks of the systematic oppression we experience in our lifetimes, many of us also bear signs of trauma that has been compounded as it was passed down through the generations. Quality self-care can assist us in overturning this trauma. Talk and group therapy, and even alternative options such as Reiki or chakra balancing, can help us sort through all that we’re holding. They can also give us the tools to speak with our living lineage about what has occurred, and thereby help them to heal, as well. Finally, your personal journey to release familial/cultural trauma can inform your perspective on broader work. After looking squarely at your own scars and addressing them, it is much easier to recognize similar trauma-induced behavioral and social patterns in others. This perceptive ability, and the will to address issues respectfully and empathically, will almost certainly be a boon to your organizing efforts. Self-care leaves you feeling refreshed, but that “new me, who ‘dis” feeling does more than just add points to your personal glow up scale. It also has a beneficial effect on your immune system, meaning that your body will be able to stave off illness better. Taking planned breaks for scheduled “me time” decreases the likelihood of unforeseen illness taking you out of the game. With a regular self-care routine, you’re likely to feel more energized as well, meaning you’ll be able to put more effective effort into your chosen form of activism. You’ll be physically fortified and ready to truly show up for what you care about. Good self-care can help regulate the symptoms of chronic stress and anxiety. Generally, lifting these burdens can make you a more pleasant person to interact with and increase your social and leadership skills. Many people who practice quality holistic development also experience some level of personal transformation. It’s not uncommon for them to start to see that transformation reflected in their relationships soon thereafter. This is of utmost importance, as relationships are the building blocks of community. If each one of us brings more love, authenticity and communication to our individual relationships, it will take much less effort to form a working unified front against oppressive systems. It’s perhaps the most tangible intangible benefit of self-care: as we heal ourselves, we heal others as well. The people in your environment will begin to reflect the work you’ve done for you… or, they’ll find a different space to inhabit. Either way, your self-care work creates in your life the microcosm of a more healed community. It’s a way to be the change you hope to see… and then see it. 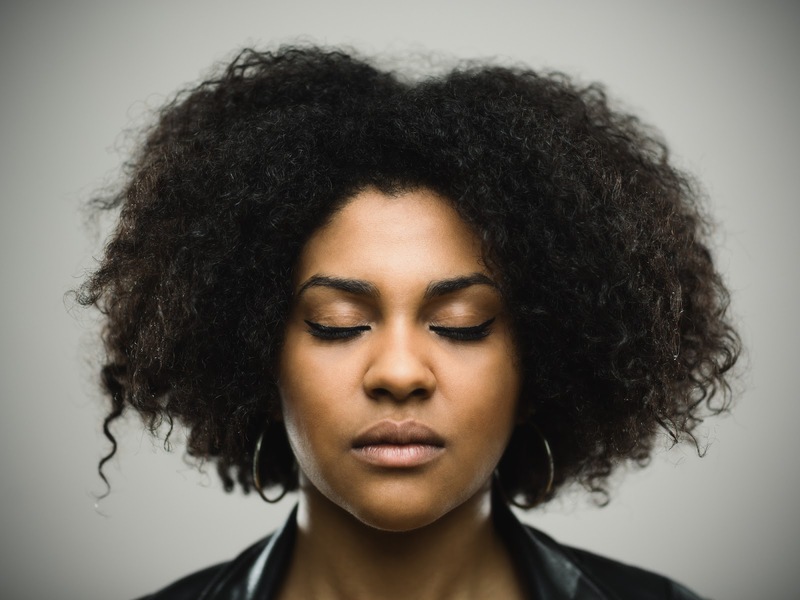 While it’s common to view our time as being spent on either one thing or another, true self-care exists in a both/and space, the likes of which Black women know intimately. Giving deep attention to your care, growth, and joy takes nothing away from our communities. It adds to them. When you function better, you open the way for the people who engage with you to do the same. Then we rise together - whole. How does your self-care practice benefit your larger work? Carmen R. H. Chandler is a writer, wellness practitioner, dancer, and educator. As the creator of The Body Temple, she blends these gifts to provide innovative, culturally relevant health solutions for the Black DAEUS (Descendants of Africans Enslaved in the United States) community. In all of her work, Carmen is committed to envisioning a new age of Black wholeness, freedom, joy, and justice.